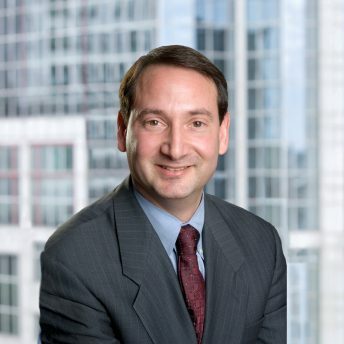 Russell N. Stein is Chair of the firm's Corporate & Business and Mergers & Acquisitions groups. He is also a key member of the firm's Hospitality and Retail Services Group. Mr. Stein represents businesses in a variety of corporate, employment, and real estate matters, including business formation, financing, mergers and acquisitions, shareholder disputes, as well as intellectual property and technology issues. He also assists family businesses with succession and estate planning matters. Mr. Stein represents clients with both acquiring new businesses or the ultimate sale of their company, including extensive private equity sponsored transactions. He also advises technology companies on intellectual property and licensing issues and was the lead counsel for Harmonix Music Systems, developer of Guitar Hero and Rock Band, on its sale to Viacom/MTV. His practice also includes food distribution, and hospitality and retail services clients, including a number of growing restaurant chains. Mr. Stein previously taught Business Planning for Boston University's Program for Financial Planners at Metropolitan College. He also has a background as a Certified Public Accountant in Massachusetts. Mr. Stein is a frequently sought-after commentator in print, online and radio, as well as a speaker at business conferences and industry events. Frequent speaker, Restaurant Finance Monitor's National Restaurant Finance & Development Conference, Las Vegas (View Presentation).